Testimonials @ Baseline Landscapes LLC. 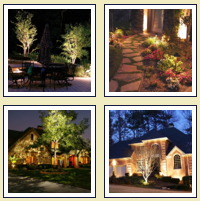 With pleasure, we would like to recommend Baseline Landscapes for all of your landscape needs. We purchased a new home with a 23 foot deep backyard that needed complete landscaping. We obtained several estimates from reputable landscape contractors, and Baseline Landscapes LLC came in as the most economical, and with the most landscaping for the money. We had a natural, water feature installed with 4 small waterfalls, as well as a curved, raised flowerbed, complete with seating, along the entire front edge. The water feature was done with natural, native stone, and the raised flowerbed was done with a concrete wall system that looks like old world cobblestone. In addition, concrete cobblestone pavers were used extensively to expand an existing patio, as well as to provide walkways from the front of the house to the back. Rick Hodges, owner of Baseline Landscapes, searched his suppliers to find just the right pavers to match the existing, exposed aggregate patio, and found the perfect ones. This attention to detail was very much appreciated and made the project seamless and first class. Additionally, we had Rick install two pergolas/arbors on each side of the property to provide us with some shade and privacy from our close neighbors. Drip irrigation was installed in the raised flowerbed and a sprinkler system was installed in the front yard. Highest quality plants and trees were selected and planted in the raised flowerbed, with great attention to providing color and texture for all seasons. We are extremely happy with the results of our landscaping project with Baseline Landscapes LLC. We call our backyard oasis our “mini resort”. It is virtually maintenance-free and turned out beautifully. In the fall of 2007, Rick Hodges, the owner of Baseline Landscapes, LLC, put in my landscaping and sprinkler/drip system. Rick was instrumental in helping me determine what perennial plants would give me good texture and color on three terraces in the front yard and a sloping hillside in the back yard. The sod that was laid was artfully placed to enhance the appearance of the yard. I am delighted with the results. The sprinkler and drip systems are very satisfactory. They had to be tweaked a few times to reach maximum efficiency, but were minor issues. Rick Hodges is very knowledgeable about all aspects of his work, honest, pleasant to work with, and responsive to questions over the phone and calls back if required. I highly recommend Rick Hodges and Baseline Landscapes, LLC, to perform landscaping and/or watering system placement. Rick and I are currently developing an updated landscape plan. He has had many great ideas/suggestions during this process, as well. I have been satisfied with communication between Rick and myself. He returns phone calls in a timely manner and is prompt when arriving for appointments. I would be happy to provide a reference, if necessary. My dog is very eager to meet anyone coming to our home and Rick always takes the time to greet him!! Raises him to a whole higher level for us dog lovers!! Rick has been maintaining our small community landscaping for almost two years. During that time, I have learned quite a bit about landscaping from him as he is always willing to provide unbiased information alongside his professional opinion. He take a lot of pride in his work, ensuring the fine details are taken care of. I think what speaks most to his work, is that after a recent bark dusting application, individuals in the community were so impressed with his work that they were asking for his information so they could share it with friends.